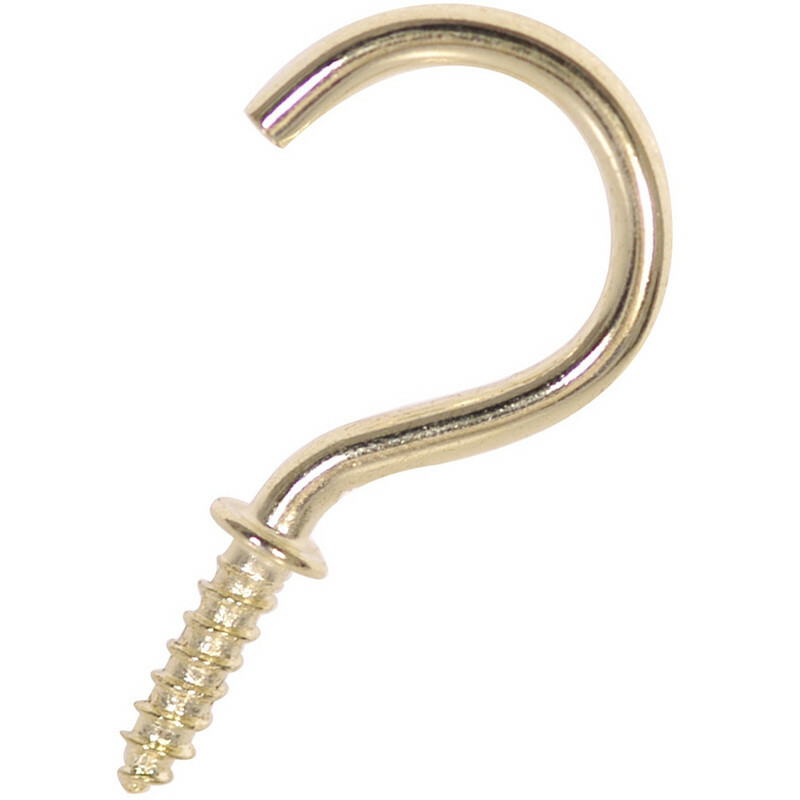 Cup Hook 32mm (10 Pack) is rated 4.4 out of 5 by 8. Rated 5 out of 5 by Blueband from All around the Home Used before and will use again, the kitchen is a harsh environment for this type of plating but the ones I have used at home have survived over 5 years. We are now in the process of moving and the cup/plate rack is going with us but is in need of some TLC so a complete strip and rebuild is in order. The hooks I replaced the very old ones with as still as they were but I will replace as a matter of doing it properly not as necessity. I have used these around the home in customers homes and had no complaints they do rust in the garden but it can in my experience take 5 or so years, so all in all not bad. Rated 5 out of 5 by Akela_Jon from Great value I brought these for a DIY project for my Cub Scouts. I used click and collect. Very convenient; ready for collection in ten minutes. Rated 5 out of 5 by Tabs from Great Happy with the product - just what i was looking for. Rated 1 out of 5 by Montys Double 1750 from Threaded portion too short The threaded portion is too short and the threads themselves are not well formed resulting in the screw being very hard to start and when the hook is screwed fully home it is not very secure.